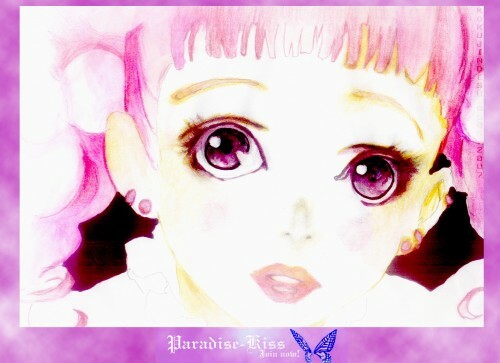 I got this from a screenshot of Miwaku-kun in the first episode of Paradise Kiss-it's the first time you meet her. Daijobu ka is 'are you alright' which is what she was wondering in this pic. I did this so I could share it with my PK friends. Very nice but i think it would be nicer without the border. You sure can use water colour very well! Quote by janicehamtaroVery nice but i think it would be nicer without the border. You sure can use water colour very well! but, it's not bad actually...Miwako looks so sweet and cute^^ Good job! congrats my friend! this one is incredible beautiful! great colour, it looks soo bright! It's like she's the light itself! I guess it's great as this, you need to change nothing here!